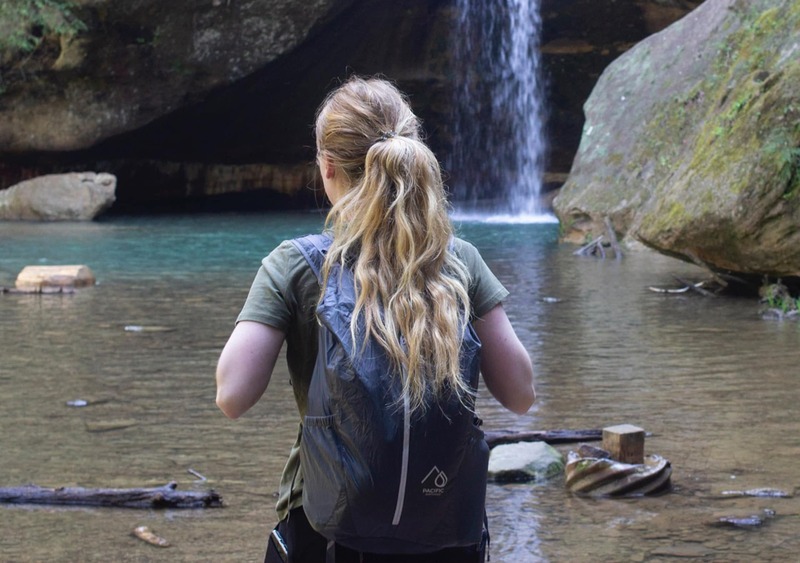 The Pacific Northwest Sea to Sky Pack is a lightweight packable daypack that can go with you just about anywhere—even under waterfalls. 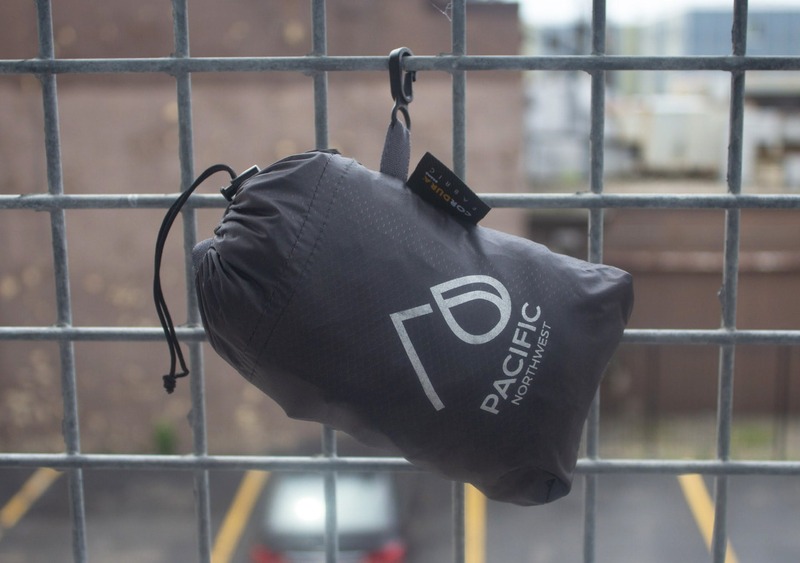 If you’re looking for a minimalistic yet functional daypack, the Pacific Northwest (PNW) Sea to Sky Pack could be for you. And if you’re looking to wander under a waterfall or possibly slip into a river, the Sea to Sky Pack could also be for you. 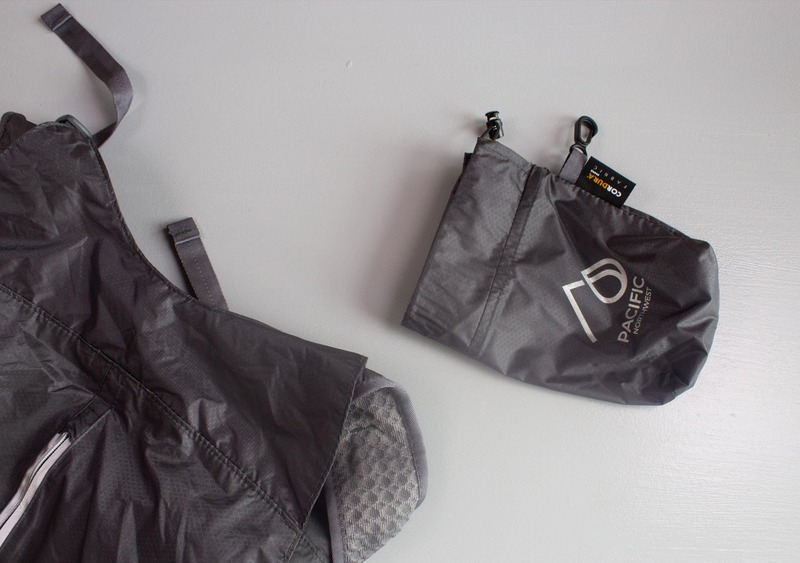 According to PNW, the pack is waterproof, so let’s dive in to find out if that’s true or not! The pack comes in a couple bright colors, but we like to keep things neutral… so we chose black. Although, contrary to it’s color description listed online, if you’re expecting a jet black pack to arrive at your doorstep you may be surprised with what shows up. The pack is actually a deep gray rather than true black, which didn’t bother us but is worth noting. This sleek bag is made of 30D CORDURA Nylon Ripstop, which is highly durable stuff. 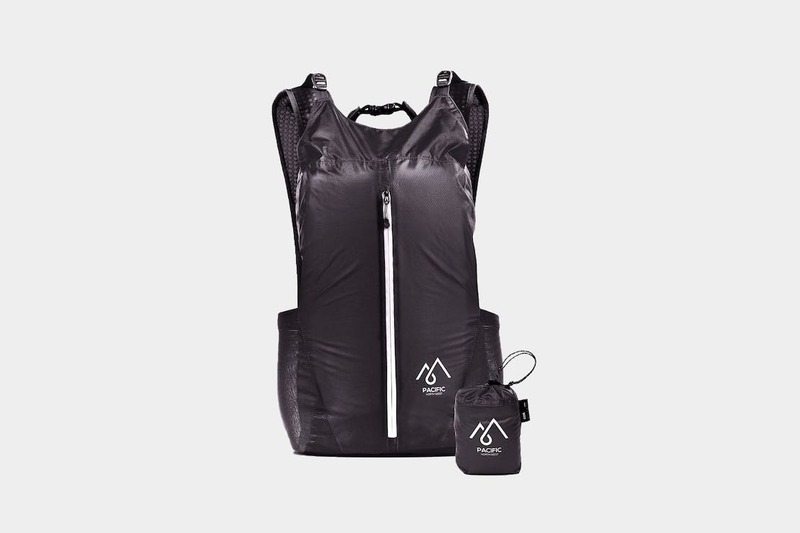 As far as water resistance goes, even though this pack is advertised as 100% waterproof, we’ve noticed the front pocket isn’t quite waterproof per se, but water resistant—it has left a couple of our items feeling damp, so you won’t want to store anything too valuable in there. 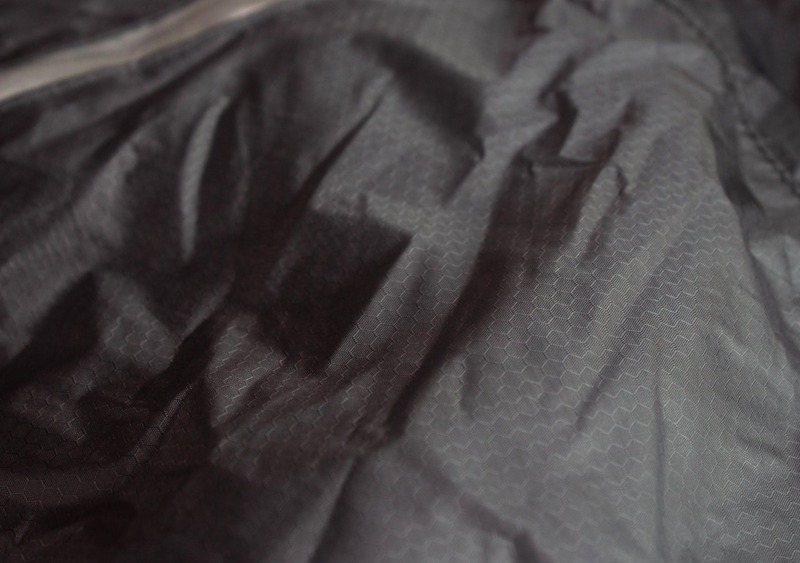 Additionally, we learned to make sure the front zipper is really cinched up as tight as possible so no water sneaks in. Might sound like a no-brainer, but if you leave that thing open by just a few millimeters you’re going to be in for a swampy-surprise. 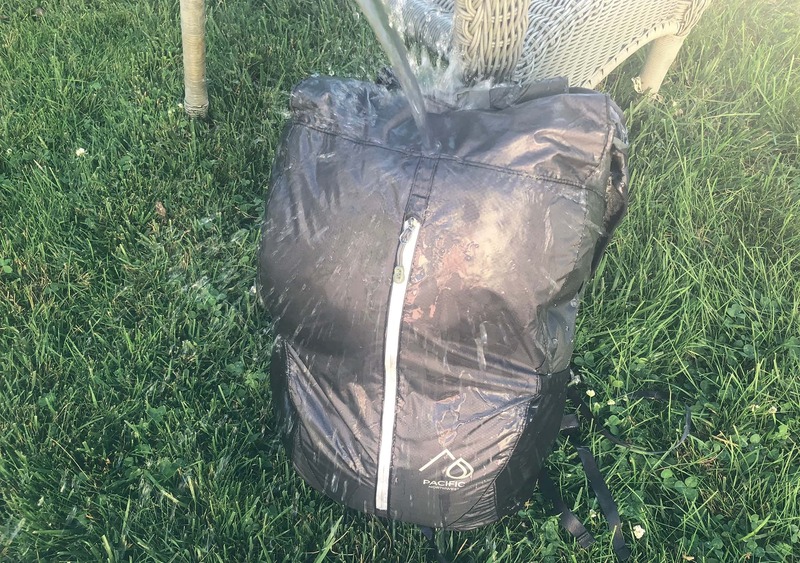 Also worth noting—even though this pack is made of durable material, beware of abrasions as this may compromise the thin nylon’s water resistant abilities. 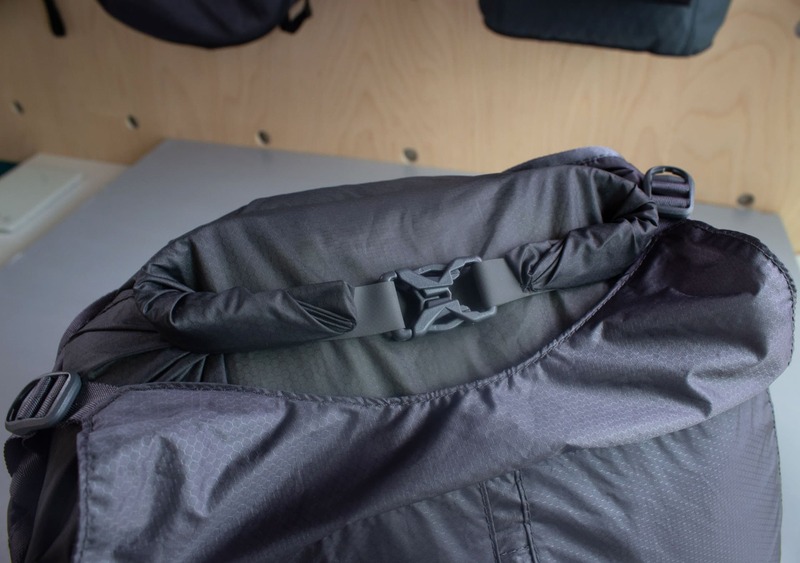 The bag has a roll-top system similar to what a lot of boating dry-bags use. Basically you wrap it up tight enough to the point where nothing (not even air) can get in. However, after taking a close look, we noticed it is possible to unroll the roll-top system manually without unclipping it at the top. This is also probably why there’s a sticker at the opening of the pack that says “DO NOT SUBMERGE”. If enough pressure is exerted onto the roll-top, it will quickly unroll and fill with water. Trust us, we’ve tested it. This is unlikely to happen unless you’re diving into a lake with your pack on—which is NOT recommended and we haven’t seen anyone do lately—but again, worth noting. PNW definitely made this thing easy to travel with, as it weighs in at just 5.5 ounces and fits perfect in your jacket pocket. We were surprised and incredibly pleased with how much you can pack into it—it has a capacity of 24L, which is not too shabby for a 4.9 inch by 3 inch packable bag. The pack is super easy to stuff back into the small bag, however when unpacked, make sure to keep track of the small bag as it’s not attached. We stored ours in one of the external side pockets for safe keeping. If you’ve ever encountered the Matador Freerain24 Backpack, the two are very similar in style and function, except the Freerain24 has a couple bonus bells and whistles—including things such as Duraflex hardware (which we’re big fans of), siliconized CORDURA®, and less strap chaos. Taking a deeper look at the inside, there’s not much to note. We recommend using some padded packing cubes (like a GORUCK Field Pocket) to organize and protect your things, since there’s only the one main compartment with zero internal organization. You can fit a 15 inch laptop in here, although there is no dedicated laptop compartment, so we recommend throwing a case on it to ensure its safety due to the lack of padding on the pack itself. The only other compartment on this bag is the front vertical zip pocket, which we found to be a little awkward to store things in. For example, we learned that this is not the best place for a bag of freshly baked cookies. They will absolutely smash into one large cookie monstrosity, which isn’t necessarily the worst thing in the world. This is a great pocket for something like a spare t-shirt, that won’t be affected by the contents of the internal compartment smashing into it. The vertical zipper takes a little while to get used to, but does allow you to access the contents extremely quickly. We also enjoyed the reflective zipper on here—not so much for safety, but because it is very visible and easy to grab. In addition, PNW has added some features to the external design of the bag that we were pretty happy with during our travels. 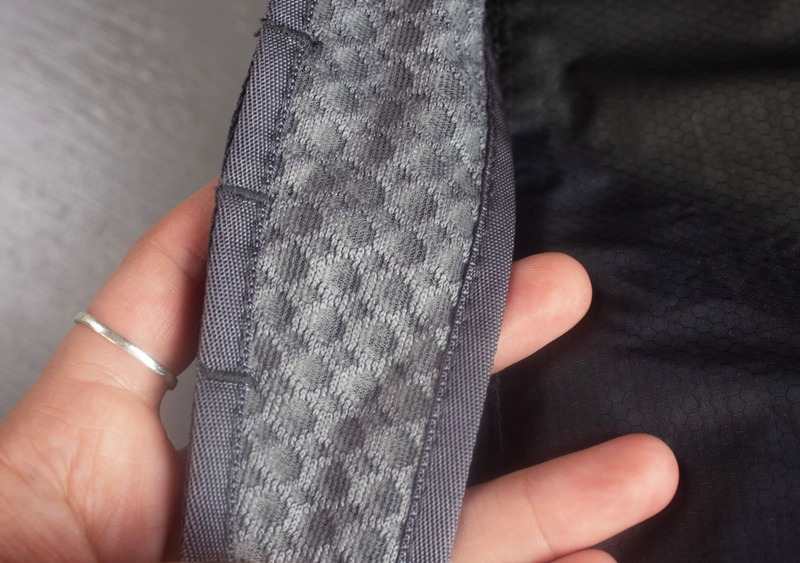 There are two mesh pockets on the right and left, which are great for water bottles or other small items. We have noticed that if you are carrying an item in each side, the bag can balance upright on the ground—a nice feature. The pack also features a small 95 decibel emergency whistle, which is a great safety precaution. If you’re in a really shady situation, just start blowing this whistle and no one will come near you because they’ll think you’re crazy. Also good for waking up your sleeping friend in the hotel room. Kudos PNW. The adjustable load-lifter straps are made with a mesh material that’s pretty comfortable and breathable. However, if you plan to take that waterfall trek, beware—your straps will end up throughly soaked. We had to leave ours in direct sunlight to get a quicker dry. 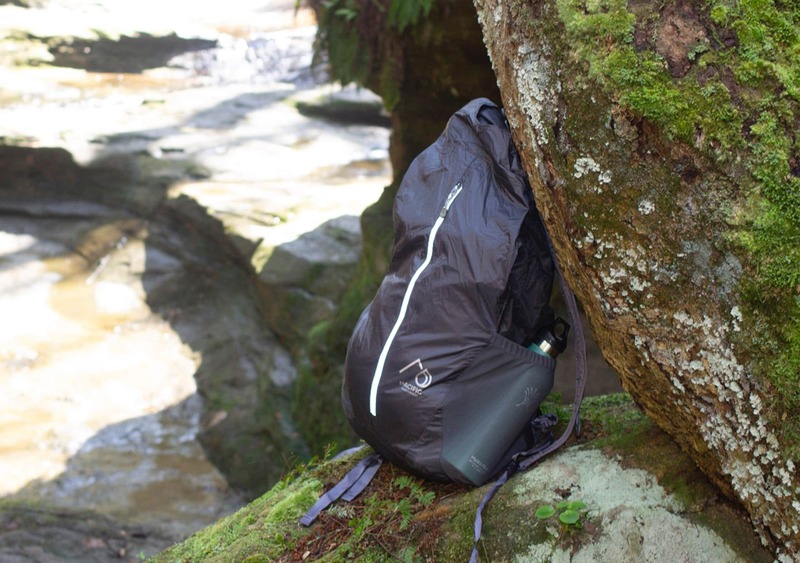 The pack has a handy hook for hanging, located at the very top of the pack that we utilized when doing this. In addition to the mesh straps there is also an adjustable sternum strap and detachable hip belt. We didn’t find the hip belt necessary as we weren’t carrying many heavy items around in our daypack and the straps felt like extra baggage, but if you’re carrying some heavier things then the attachable hip belt could be a plus. When it comes to the sternum strap, we’re hit or miss on whether or not you need one on a packable daypack. We ran a poll on Instagram recently and it was about a 50/50 split on whether or not these are necessary on smaller packs. With this particular daypack though, you may not have a choice, as the strap isn’t super secure (the one we were testing fell off during a hike within a couple days). Besides the lack of security on the sternum strap, there are only a couple things that concern us. The zippers are pretty small, so we’re not sure how long they’ll hold up once the bag shows some wear. 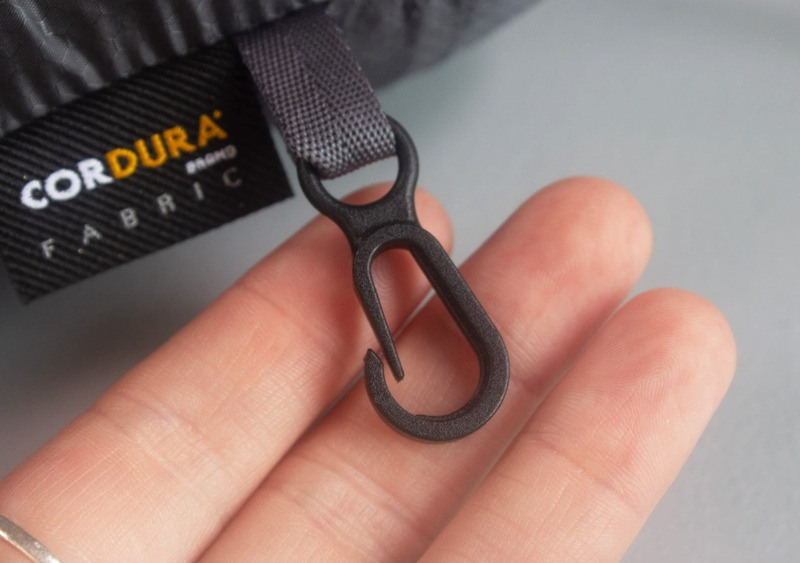 We also noticed that the tiny carabiner on the exterior of the pack is plastic and easily breakable—you’re better off just ditching it and using your own metal one. Lastly, we wish the small drawstring pack bag was attached when unpacked. Everything looks good. Super packable and can fit more than expected into the bag! Loosely attached sternum strap fell off. There are a couple features that concern us regarding durability. Overall, the PNW Sea to Sky Pack is a minimalistic yet functional choice for day trips. This super compressible daypack can store a good amount but we do have a couple concerns when it comes to durability. We find and test the best gear for travel based on form, function and aesthetic. We believe the best trips start with quality gear, regardless if you’re traveling for business or pleasure.